Training kids to look forward to transitions does more than make for happier students and staff—it may also lead to better outcomes in the classroom! Have students line up alphabetically according to the first letter of their first name without saying a word. Rain—The leader starts by rubbing their hands together. The person next to them does the same and so on, until everyone is participating. The leader starts a new sound, soft finger snapping, then soft hand clapping, next soft thigh slapping, then soft foot stomping. To end the storm, reverse the actions until the group stops rubbing hands. Writing in the Air—Each child turns sideways with their right hand on their right shoulder (or if left-handed, on the left). Ask them to write words or numbers in the air using their elbow. You could say, “Write (or print) your name,” “Write the name of your favorite food,” “Write your dog’s name.” Keep the game going on the opposite elbow as helpful. 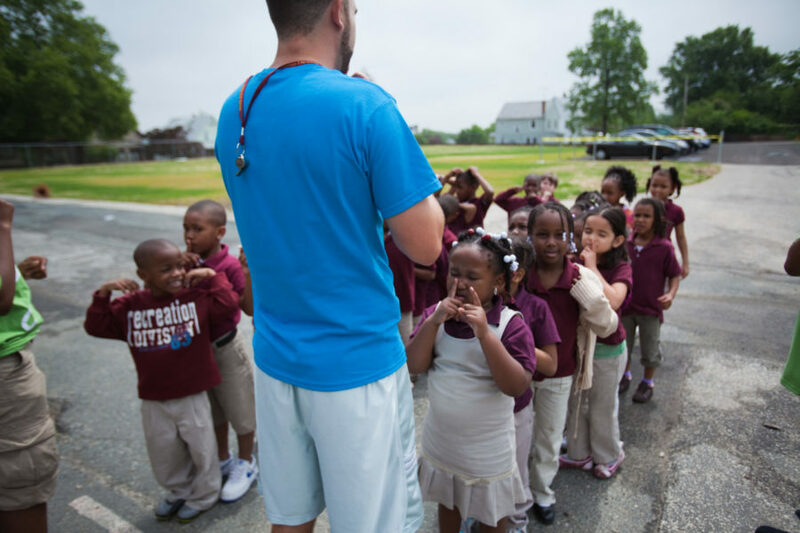 Simon Says—The Line Captain or teacher begins an action, and students in line mimic it. The leader may need to walk backward so students can see the actions! Ask students to walk like a character from their favorite movie, show, or book. Test out one or two of the ideas above and see how your kids respond. Share these transition tips with recess staff or teachers. Review recess roles for both adult staff and youth leaders and add a Line Captain role if it makes sense. This has even affected the lunch staff! The lunch staff's improved ability to communicate positively with the students built trusted relationships this year. The reduced after lunch reporting to teachers resulted in smoother transitions back to the classroom.